We’ve all been there; you’re the crazy person in the neighborhood with the dog that refuses to come when called. Whether it was a training session gone awry or an accident that let them slip out the door, you’re now left with a dog to catch and a neighborly reputation to redeem. You know your four-legged fugitive hears you calling their name while they trespass into the neighbor’s garage and sniff-walk their way down the street, but they’re ignoring you. Coming when called is one of the most important lessons to teach your dog, but it’s also one of the most difficult for them to grasp. Doing it right requires your time, dedication, consistency, and the right strategy. 1. First, Recover Your Dog! If you’re training in a safe area and your dog isn’t doing anything besides sniffing the ground (while ignoring you), recovering them shouldn’t be too hard. The issue comes in when your dog is actively evading you or in danger of running into trouble. If that’s the case, first learn what not to do. Your instinct will be to chase your dog while yelling in your no-nonsense-get-back-here-right-now voice. In this scenario, your instinct is wrong. 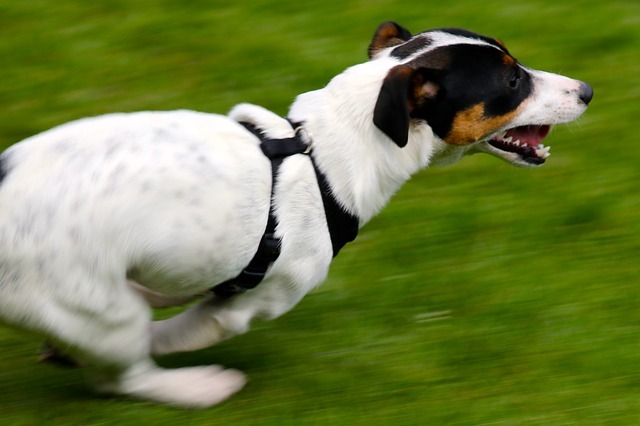 Some dogs love to play keep-away, and they’ll see you chasing after them as the start of a fun game. And because four legs are almost always faster than two, you’ll lose. Even if they don’t think you’re playing, they still won’t want to be caught. A better strategy is to get them to come to you. We already established calling their name isn’t going to work, but there are other ways to get their attention. Screech like a maniac, stomp your feet, jump up and down, do the worm dance—do anything out of the ordinary that will make your dog look at you. The second you have their eyes, turn around and run in the other direction. That’s right, run away from your dog. Most dogs will be so intrigued by your strange behavior that they’ll stop what they’re doing to chase you down. If your dog isn’t into chasing, try testing their curiosity. Once you have their attention, sit or lay down on the ground. Flap your arms and make wailing noises for added affect. Your dog will probably think you’re either hurt or playing a fun game, and they’ll want to come over to investigate. If neither of those strategies work, your only option is to go and get your dog. Whatever you do, however, don’t run. Walk calmly toward them and talk using a soft, normal voice. You don’t want to spook them, and you really don’t want them to think they’re in trouble. 2. Now, Make Sure It Doesn’t Happen Again. Every time you let your dog get into a situation where they have the option of ignoring you, you reinforce unwanted behavior. After the dramatics of catching your loose dog are over, make plans to make sure it doesn’t happen again. To do that, say goodbye to off-leash time. 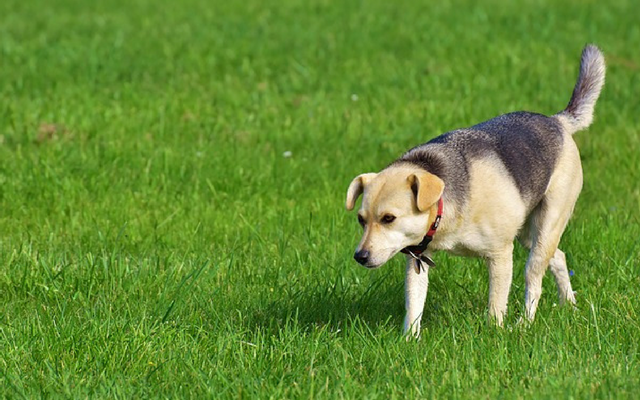 If your dog’s recall is unreliable, they shouldn’t be off leash in public places—ever. An alternative is to get a long training lead (15-30 feet), and attach it to your dog’s snug-fitting harness. Never use a collar, because the sudden force of running, reaching the end of the line, and jolting backward can seriously hurt a dog’s neck. Whether you’re out training or just having fun, keep your dog on the long lead. When you call them and they ignore you, you can reel them in so ignoring you isn’t an option. No matter how it seems, your dog isn’t ignoring you out of spite. They’re not doing it because they’re remembering that one time you took them to the groomer’s or stole back the shoe they pilfered from your closet. Dogs don’t think like that, but that doesn’t mean there’s not a reason behind their behavior. They Honestly Don’t Know Any Better: They might recognize their name when you’re screaming it down the street, but recognition and comprehending what’s expected of them aren’t the same. You say their name all day long, and most of the time, you don’t expect anything from them. How are they supposed to know this time is different? Even if you add a firm “come here!” to your call, they won’t know what you want unless you’ve spent a considerable amount of time training the cue. They’re Suspicious of You: Think about it; what tone of voice do you use when calling your dog? Are you stressed, frustrated, angry? If you are, you can believe your dog knows it. When you finally get a grip on their collar, do you scold them? If you can relate to any part of that scenario, you’ve essentially taught your dog NOT to come when called. Why would they want to come to you when they know they’re in trouble? Their options are to either head toward the angry, unpredictable owner or continue chasing the neighbor’s cat and sniffing out cool scents. Cats and cool scents will win every time. They Don’t See the Point: Even if your dog isn’t running loose through the streets, they can still ignore you in a passive way. These indifferent offenders are usually easier to catch than a high-energy runaway, but the issue of them ignoring your call is still a problem. They’re basically telling you that listening to you isn’t important to them. 3. Finally, Work on Better Behavior. 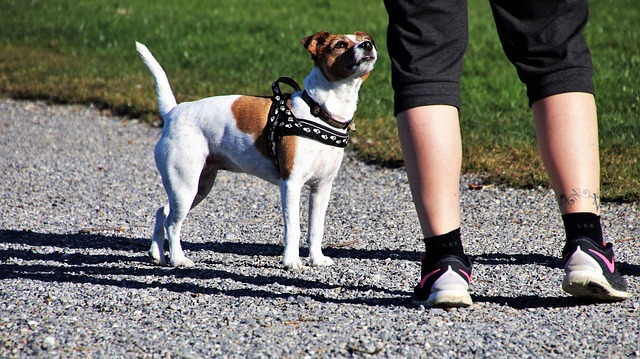 The reason punishment or negative reinforcement doesn’t work with recall training is because in order for the dog to understand what they’re being punished for, you need to act the exact second they decide to ignore you. Several minutes will pass while you’re chasing them down, and that time will serve as a barrier to disassociate the punishable action from the punishment. Instead of associating the punishment with their decision to ignore you, they’ll connect it to the moment they’re within your grasp. In their mind, they’re being punished for being near you. To avoid this conundrum, shower your dog with love and praise the second you have them. Give them a high value treat, scratch between their ears and tell them how amazing they are. You could be boiling with rage on the inside, but you can’t let it show. Letting your dog see your anger will only ensure the next time they get loose, you’ll have an even harder time catching them. The second your dog decides to listen to your recall should be the best second of their life. It should be full of their favorite things, whether that be food, praise, or a quick round of a fun game. The best thing you can do is always have a high value treat in your pocket. We’re not talking about a dog biscuit here; you’re going to need the good stuff. Cheese, chicken, jerky—your dog needs to go crazy for it. If food isn’t your dog’s thing, find something that is. Some dogs are absolutely obsessed with specific toys and games while others do anything for a good belly rub. As your dog gets better at recalls, you can eventually empty your pockets of treats, but high-value positive reinforcement will be your most useful training tool. Every time you repeat the words, “Bailey, come here!” and Bailey continues to ignore you, you dilute the cue’s potency. Eventually, the call will be nothing but a buzzing in their ears, and they’ll be perfectly comfortable pretending it doesn’t exist. When you call your dog, do it once and only once. Don’t think they didn’t hear you, because they did. After you call, you have no choice but to follow through. If they’re not listening, use tricks from above to grab their attention or start reeling them in with the long lead. If you’re not in a position to make the recall happen, don’t initiate it. Only call them when you know for certain you can make it happen. Otherwise, you’re teaching your dog they don’t always have to listen. When you’re at the park and it’s time to leave, you call your dog over to you so you can leash them up and head home. But if puppers is having a grand time, they’ll see being forced to leave as a major punishment. Even if you heap on the praise and give them a treat, leaving the park will be the punishment to trump all rewards. In order for the positive reinforcement to work, it needs to outshine all possible negatives. Leaving the park makes that impossible. To solve the problem, you need to start using release as an added reward. When you call your dog over, give them a treat, praise them, and then release them back to whatever fun they were having. Use a release cue like “Okay!” or “Go ahead!” to let them know they’re free. They’ll be so happy to continue with the fun, they’ll credit you for making that fun happen. That association will benefit you in all future recalls. But what happens when you really do need to go home? Before you get into that situation, you have to firmly establish release as a reward in your dog’s mind. Do it during training sessions in the yard, and do it over and over again. That way, when it’s the real deal and you need to get home to start making dinner, one negative reinforcement won’t make a dent in all the good work done by 1,000 positive reinforcements. As long as the release happens a lot more often than it doesn’t, your dog will hold on to the positive association, not the negative. 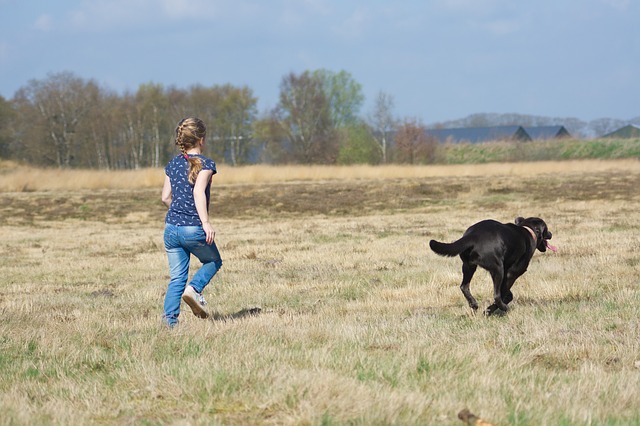 When it comes down to it, correcting a dog that ignores a recall is about avoiding situations where they have the choice of ignoring you while taking time to properly train the behavior you want. Start inside the house and then move to the yard. Next is a quiet public area with a long lead, and finally, test them with the lead in a distraction-filled place. Do it in stages and never move on until your dog is responding reliably. Next time an accident happens and you need to deploy an emergency recall, your dog might surprise you.